Police have charged a Boothtown man with arson after an incident in Halifax on Monday. 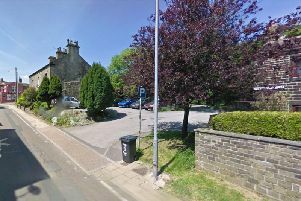 John Burns, 39, has been charged by Calderdale police for two offences of arson. An investigation was launched after bags of rubbish were placed at the front door of flats on Union Street South before being set alight. The fire had been pout out before firefighters from Halifax and Elland arrived, but they still had to use a positive pressure ventilation fan to clear smoke from the inside of the flats. He is due to appear at Calderdale Magistrates Court this week.